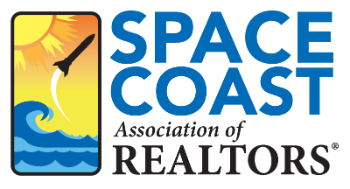 SavvyCard Training Webinar - Space Coast Association of REALTORS® Member Site. SavvyCard is an interactive business card combined with a mobile-optimized web site and bundled with Real Estate-specific tools that your prospects and customers will find invaluable. SavvyCard helps you connect with prospects, convert prospects to customers, and close transactions faster. Agents who use SavvyCard for Agents Pro have reported a 20% or more increase in their business simply by taking advantage of the tools that come with their upgraded account. In the Getting Started with SavvyCard class, you will learn to use SavvyCard as: An electronic business card: Save money and keep information up-to-date while empowering customers to contact you with just a few taps A referral tool: Grow referral networks that generate warm leads on an ongoing basis by "sharing" your SavvyCard via email, text, or social media A lead capture and management tool: Receive actionable, real-time notifications of people "sharing" your SavvyCard on to others A technology differentiator that helps you win listings: Show prospects that you will use the newest technology to help them sell their home A GPS-enabled MLS Home Finder: Enable customers to search the MLS; GPS functionality allows customers to find the home of their dreams near their current location A social media marketing tool: Win listings, sell homes, and advertise open houses via Facebook and other social media platforms A landing page for your advertising: SavvyCards are more effective than regular websites in converting leads into customers ... and more! We look forward to helping you integrate SavvyCard in to your business processes and reaping the rewards! Stay Savvy!